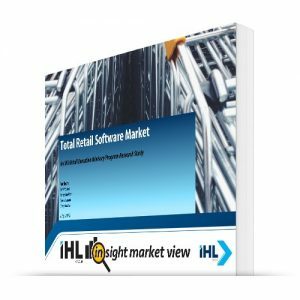 This research provides shipments and installed base on a quarterly and annual basis for vendors such as Toshiba Global Commerce (IBM), NCR, HP, Diebold-Nixdorf, Fujitsu, Dell, MICROS, Radiant, Digipos, and many others. It includes data on processors and operating systems historically and provides a forecast going forward. It is the only review of the POS market that includes the PC on Cash Drawer (PCOCD) market. 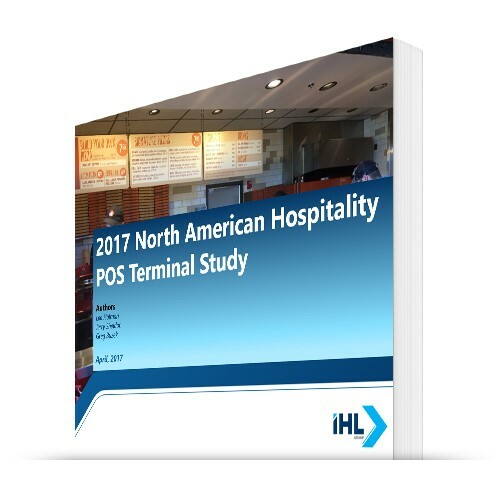 These data are meant to be used in conjunction with the POS Terminal Studies by region. It is in these studies where we discuss trends, barriers to entry, and growth assumptions. The data here are purely quantitative in nature. We are thankful to the vendors who participate in sharing data points to make this as accurate as possible. Total Shipments and Installed Base – A rollup of total shipments and installed base with forecast for total units. This will include trailing 4 quarters and 1 year overall, and a forecast for the next 4 quarters and total of 3 years. 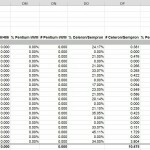 This is a rolling function that will be updated each quarter. Regional Vendor Sheet – This is a rollup by segment and by vendor and will include the 4 trailing quarters, then forecast for next 4 quarters and total of 3 years. Includes shipments and installed base. Regional OS Shipments/Installed Base by Vendor by quarter – This is the same format as processors, but instead of the processors we will look at the operating systems by vendor by segment. The following operating systems (that match our POS report) are addressed. Below are some examples of some screen shots. But they do not do the product justice. 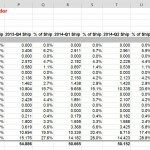 Current data actual shipments through 2017 and forecasts by vendor. We welcome you to contact us for a demo of the product so you can see the level of data and detail you would be provided. 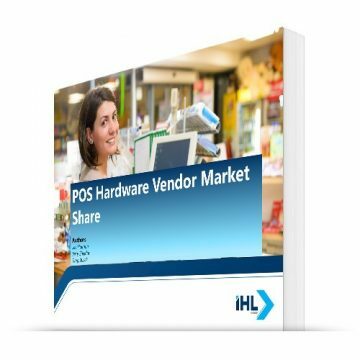 In this research, we also include PC on Cash Drawer Devices (PCOCD), and to the degree we are able we distinguish between vendors. We also include Self-Checkout terminals in the count, but do not break them out separately. For this detail we suggest our Self-Checkout Study. We do not include Electronic Cash Registers (ECR) in this study. Although the lines have blurred as to POS and ECR in terms of processors and connectivity, we believe there is a clear distinction in functionality, expandability, and serviceability between the devices. Thus, we are considering the low end devices in the study as those of the Wincor BEETLE /Express, HP rp5000, and NCR RealPOS 20 types. How do you define the processors included? 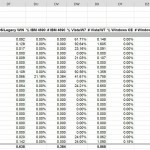 Throughout this report, we deliberately categorize all processors by speed rather than by name. Since Intel is the market leader and the most identifiable, we use the following familiar designations for our processor definitions. While in the last several years there have been other processor entries (notably VIA/Cyrix and AMD), all herein are referred to as “Intel-class” processors, whether Intel, MediaGX, AMD K5, K6-2, Duron, Athlon or Atom. 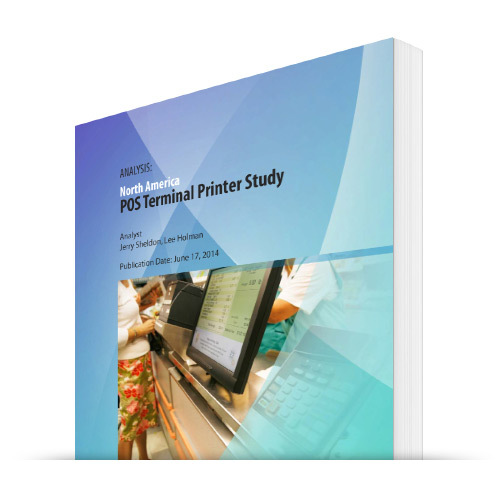 The POS Shipments by Vendor product is priced based on the level of detail that you require. Should you wish to have all segments for all regions, updated quarterly, the price is $29,000 Annually. But individual regions start at $4,000. If you only need data annually or only certain segments or certain regions, we can customize the offering for you and a specific price. Please contact us for more details.